We are pleased to announce the availability of Cloud4Wi 5.1.1. This minor release includes new features and improvements, as well as fixing important issues. It will possible to register/login to the Hotspot service by using social network accounts (Facebook, Twitter, LinkedIn and Google+). 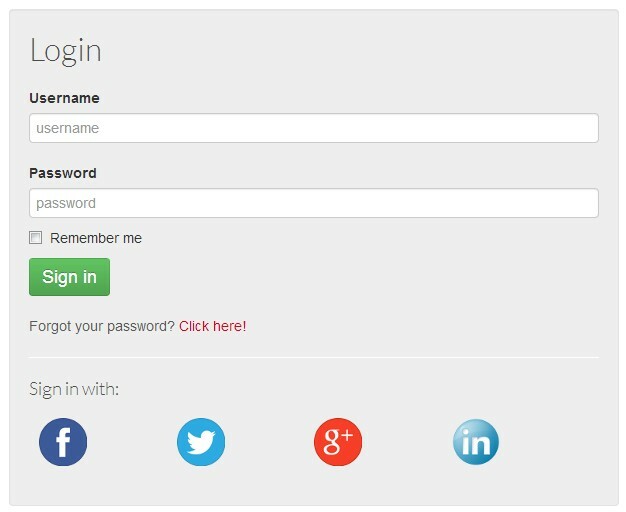 The Social Login is compatible with existing advanced identification mechanisms; for example, after the end-user signs in to a social network, the system asks for a mobile number and sends a validation code via SMS, that the end-user must enter in order to complete the registration. 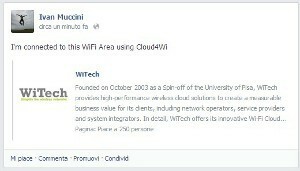 When a end-user signs in to the hotspot service through Social Login, Cloud4Wi automatically may publish a new post on the user's social page. The content of the post can be completely customized through the Control Panel (at Tenant or WiFi Area level). Facebook Like: when end-users log in using Facebook they may be invited to like a page. The service provider (Tenant or WiFi Area) will be able to monetize through Internet plans, enabling online payments using PayPal. The end-user can select the desired plan from the Internet plans page on the Splash Portal and then pay online. The Tenant can decide to allow the roaming between different WiFi Areas, so that end-users can access the service through any Hotspot of the WiFi Area being part of the "On-Net federation". End-users will access using their original service profile. It is now possible to customize the Splash Portal theme with more flexibility. You can upload your CSS style sheet and assign specific CSS classes to each content block of the Splash Portal. A basic knowledge of CSS is suggested to correctly use this feature. It is now possible to customize more detailed system communications, such as the welcome message after the registration of end-users, the notification message after the activation of a WiFi Area, the message for the recovery of the access credentials, etc. It is now possible to select the languages to use on the front end interface (Splash Portal content and system communications). More flexible management of time zones; the time zone reference is now configurable at the Tenant / WiFi Area level in the General options section, and not only at the level of the administrator.